The girls and I planted these Phlox in a couple of pots that my sister had laying around her yard over the weekend. We, of course, had to go out and add some 'thrill' and 'spill' to them, right? So, we picked up the old standy-bys of a Spike in back and a Sweet Potato Vine dangling in front. Not super creative, but we checked all three boxes of your typical planter setup. They're perennials, but I'm not sure they'll over-winter in the pots? Maybe if I pull them into the garage? 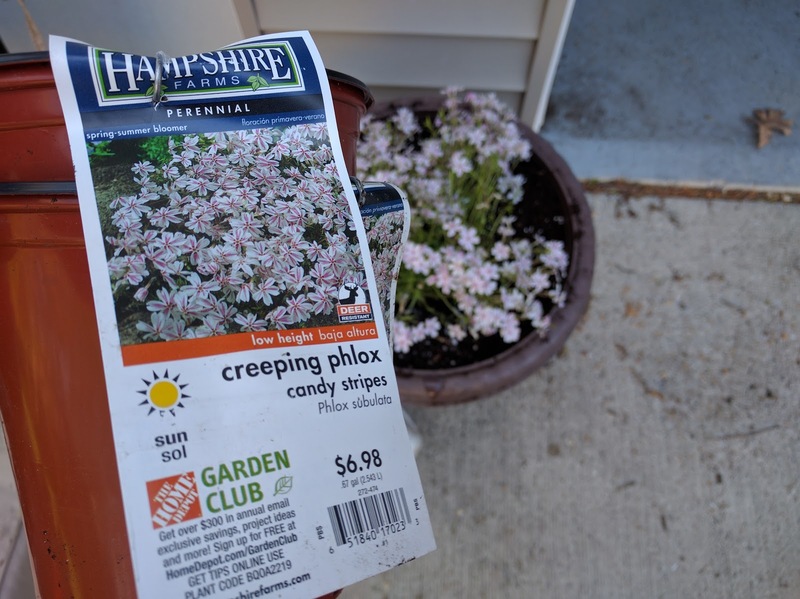 These Creeping Phlox call for full sun, so we put them on the driveway right on either side of the big garage door. The girls now both have watering cans, so I'm thinking they'll get well watered this summer.